The Adolescent on Psych Meds Goes To College: What Happens Next? Student mental health services have not kept up with the growing demand, brought on by our explosion in diagnosing ADHD, Asperger’s Disorder, Depression and Anxiety in adolescence. 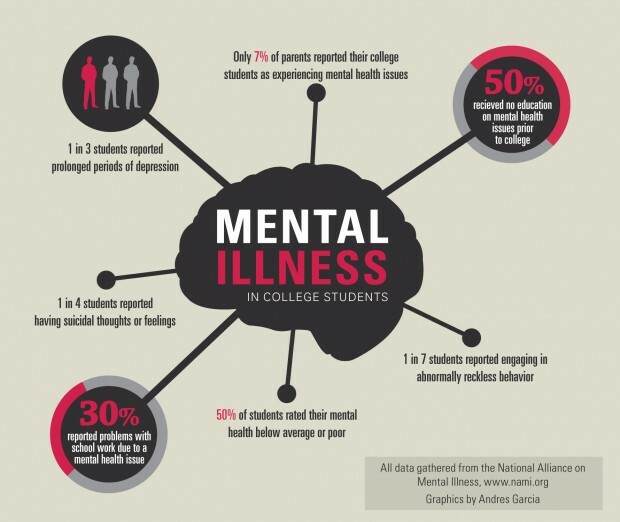 Consequently, kids who are properly and improperly labeled and/or medicated come to college without the mental health resources they had in high school. Plus, the availability of drugs and alcohol give way to an epidemic of untreated college students, occasionally with tragic outcomes of suicide, unintentional overdoses and mass shootings. I propose the following solution. Have psychiatrists run mental health clinics at colleges and university and in so doing, there could be a better triage system of care. Of course, not everyone with a mental health issue reaches out for services, but for those that do, they need to be reassessed and properly guided towards what they need. This is in contrast to the current system in which the college student goes to student health, has a limited number of visits, and medications are done on a “drive-by” basis. Yes, my proposal is more costly, but given the cost of both public and private universities, these days, the money for these resources must be there. Plus, college students can be on their parents’ insurance plans and as such, there is another revenue source (in addition to student fees) which can support this major overhaul. College is prime time for the onset of serious substance abuse, chronic mental illness such as schizophrenia and bipolar disorder, and eating disorders. It is also the time when coping skills can be severely challenged, and issues of feeling lost, hopeless, and unlovable can reach a fever pitch. Mental health services are critical to get these “kids” on a good life path. They need to put their interior life into perspective, and many need professional assistance to separate from their parents and develop their own identity. As the David Geffen School of Medicine at UCLA has initiated, there should be a dean of wellness on every campus. This dean needs to be a psychiatrist, given the complexity of mental states. Anyone want to hire me? Thousands of people gather together for an all-night concert with dangerous drugs being passed around, like water, making the timbers there for a fire, but it seems to me children had to die to let people know this was dangerous. I have been anxious about raves for years, hearing about the crowded conditions, lack of sleep, and heavy drug use. I have worried about adolescent after adolescent who attends these events, knowing that the ingredients for disaster are there. Sure enough, children have died, heads have rolled, and raves continue. I know we live in a free country, and so we are not about to legislate the freedom to go to concerts, but having adolescents in a large crowded space, not having good impulse control, is a recipe for disaster. I am glad that New York and Los Angeles and Dallas have closed their venues for raves, but I am saddened that these young people had to die to make that happen. I think about Sasha Rodriguez, not knowing her, but imagining that she was a young kid who, quite accidentally, got into harm’s way, which in other venues would have given her a bad headache, or a close encounter with a toilet, but given the dangers of a rave, resulted in death. How sad this must be for her family, her friends, and for her. As a psychiatrist, I am thinking about this new sociological trend where millennial bounce back to their nest, perhaps with a lack of the necessary psychological separation required to spring into a healthy adulthood. On the other hand, maybe this return is an opportunity for young adults to work out their issues with their parents so that they can emerge, a second time, with a more secure attachment, and hence a stronger independence. Emily, twenty-five, went to college and graduate school and now lives in her childhood bedroom. She has a good job, working at a public relations firm, but she feels it is a waste of money to spend her earnings on an apartment. She is happy at home. Her parents are happy, as well. Emily can take comfortable vacations, eat out with her friends, because she has no rent to pay. Emily has a boyfriend who also lives with his parents. When they want to spend time together, they go away for the weekend. Emily is both happy and unhappy at the same time. She likes her job. She likes her family and she likes her boyfriend. On the other hand, she feels younger than her age, and she has very little motivation to move out, and that worries her. She is concerned that she will never want to grow up, because, truth be told, she likes being taken care of. She likes that her laundry is done by her housekeeper, which she has known since she was two. She likes having family dinners. She likes having coffee with her mom every morning. She knows she should be thinking about her future, but as she says, “I kinda like being treated like a kid.” “You are in quite the dilemma,” I say, highlighting both sides of the issue. “On the one hand being cared for is nice, but on the other hand it is stifling.” I expand on this notion that there is good news and there is bad news. “You do not have to worry about many adult responsibilities, but you are also not taking control of your life, as you are living the way your parents are living and you are not making your own choices about where and how you want to live your life.” I say, again, emphasizing that she is following her parents’ lifestyle choices and not making her own. “Yes, but I am so comfortable at home,” Emily says. “And yet, other times, you wonder if you are avoiding tough decisions,” I remind her of previous discussions. “Oh yea, I often forget that,” Emily says with refreshing candor. I am optimistic that Emily will find her own path, yet it is interesting that it will be much later in life than previous generations. Liam James, as Duncan, in this movie “The Way, Way Back” illustrates the oedipal pain of a fourteen year old boy, wanting to see his mother happy, wanting to see himself happy, yet feeling helpless and alone while his divorced mother pursues a relationship that hurts both of them. The title suggests the place in those old station wagons from the 70’s, but at the same time, hints at going back to an earlier time where a boy could love his mother, without the awareness that his mother has her own psychological and sexual needs which he, the child, cannot fulfill. The separation from his mother, that an adolescent boy goes through, was brought to light by Sigmund Freud. The boy loves his mother, but has to suffer the rejection that his mother loves a grown-up man. This separation spurs the pursuit for another relationship, and so Duncan, unconsciously, it seems like, goes hunting for a new family. This pursuit helps Duncan emerge as a unique being, which, then gives one hope that his mother will also find a loving environment. It is a “sweet” movie in that the pain is quiet. We understand Duncan through what he does not say, more than what he does. At first, I wondered if he was socially impaired, but as the movie unfolded, he was inhibited by his negative feelings about his life, and not about a misunderstanding of people. In fact, as so often happens, while he was appearing to be awkward, he was actually being quite perceptive. There is pain and there is love, and neither one is very tidy. I liked that. Stacy, thirty-two, wants to travel world for a year and then decide how she wants to make a living. Her aunt Mo thinks she is making a horrible mistake. Stacy and Mo love each other, but now they cannot be in the same room. “She called me myopic,” Stacy says, bewildered. “What does she think you should do?” I ask. “She thinks I should get a career path, get married and have kids. I want those things. I just don’t want them now.” Stacy says, with a sound of protest which resembles an adolescent. “It sounds like Mo hit a nerve,” I say, implying that she has some insecurities about her travel plans. “Well, yes, I am really not sure what I want to do with my life and so traveling postpones that decision for a year, but I don’t want to admit that to Mo.” Stacy says with candor and shame. “You don’t want to admit that to Mo because you want her to believe that you feel more confident than you actually do.” I say, pointing out her embarrassment over her uncertainties. “Yea, and I don’t want to tell her that she has a point.” Stacy says, as if she and Mo are at war. “Why can’t you tell her that you understand and appreciate her concern?” I say, pointing out that people who are interested in your welfare are hard to come by. “I have told her that, but I also think she should trust me that I will figure it out.” Stacy says, with the irony that she does not trust herself to “figure it out.” “You mean that her questioning your decision makes you feel that she has no faith in you?” I say, trying to show her that Stacy is projecting her insecurities on to Mo. “Yes, when she questions me, I question myself and I don’t like that feeling.” Stacy says, revealing that the problem with the question is that it makes her uncomfortable because it hits on unresolved issues for her. I repeat, “So Mo hit a nerve and now you are in pain.” “I guess so,” she agrees, but still confused about how to handle her relationship with Mo. “Maybe you can tell her that your life is uncertain, and that you can live with that and you hope she can too.” I suggest, hoping that an honesty about her internal state might be helpful. “I will try that,” Stacy agrees, with a hopeful tone. Frankie, nineteen, sophomore in college, says that partying begins Thursday nights and goes through Sunday night. By partying she means binge drinking and marijuana use. This, she says, is the “college experience”. I know this. I am concerned about this, but the issue in my mind is that if it happens across the country, at just about every college, then when is the behavior concerning? Most of these kids, and likely Frankie too, will graduate college and go on to satisfying careers. Alcohol will not likely be a dominant part of her future life experience. Yet, for some “kids” this binge drinking and marijuana use will not stop, such that they will develop long-term substance abuse issues. It is not clear to me which “kids” are at particular risk, although family history is certainly one important factor. I also imagine that the intensity of partying is another factor. There is a range of drug use among college students, such that I suspect that those who push that range repeatedly are more likely to have life long problems. “I am glad I started drinking in high school,” Frankie tells me, “because I know how to control myself.” “You mean those who did not drink in high school are learning their limits in college, and they are learning the hard way since there are no parents around to help with self-regulation.” I say, agreeing with Frankie that high school is such an important time to begin to learn good decision-making because parents still have a substantial influence over the superego, the part of the personality that decides right from wrong. In essence, parents, during those tender teenage years, can still exert external control as a way of encouraging internal control. To put it another way, curfews, close monitoring, and rules at home, assist a teenager in learning the importance of self-care and self-regulation. Being too impulsive can lead to self-harm, parents tell their teenagers by making sure that the rules of coming home and school attendance are followed. Sure, some adolescence are naturally good at self-regulation, but for those that want to cater to their impulses, they need rule-enforcing parents to help them help themselves. Frankie nailed it. I think.